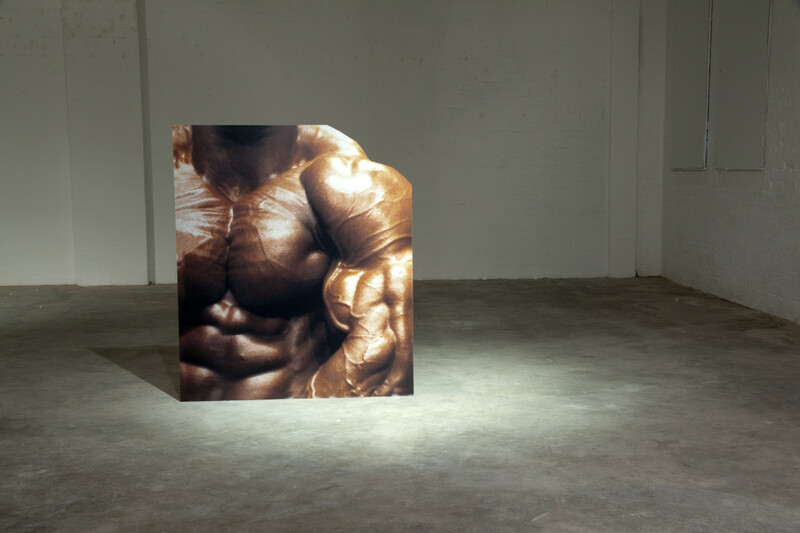 The paradoxical qualities of advertisements found in extreme bodybuilding publication Muscle and Fitness are the subject of examination in Ripped, Chiseled and Rock Hard, a photographic installation by Brian J Morrison. 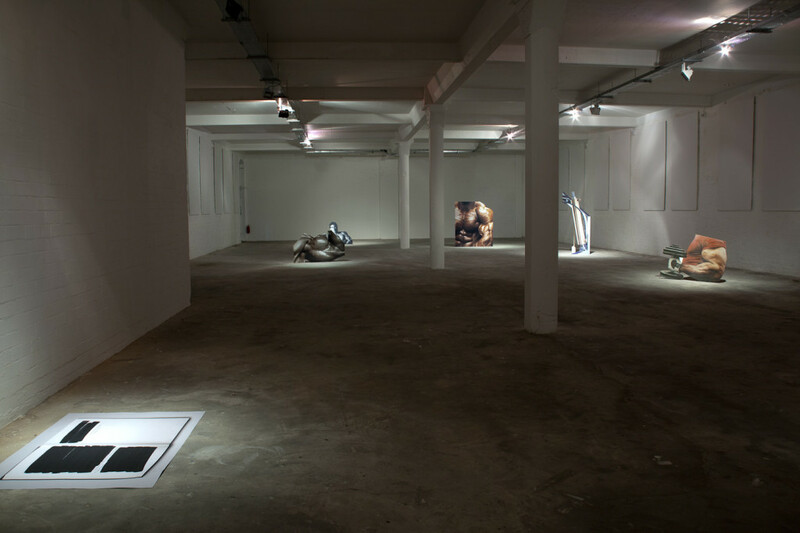 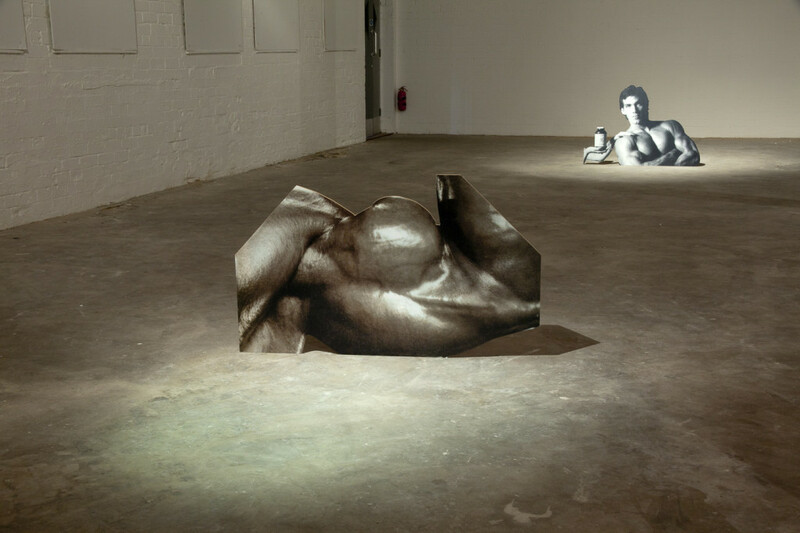 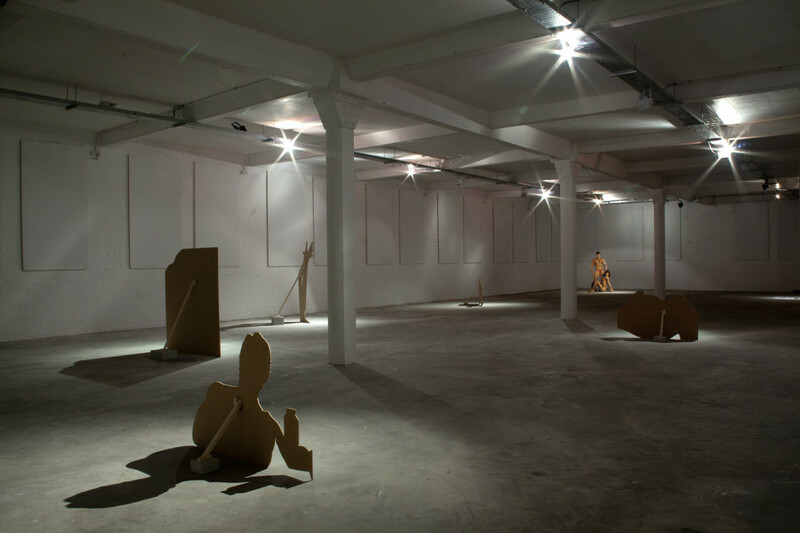 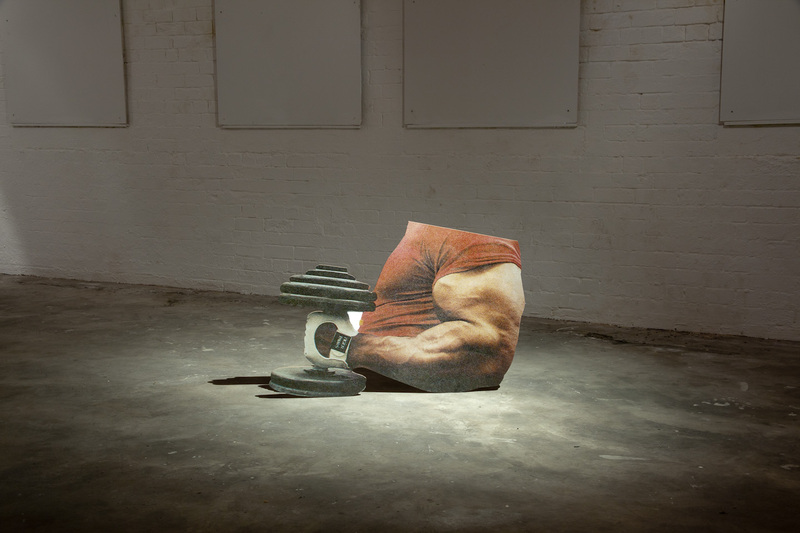 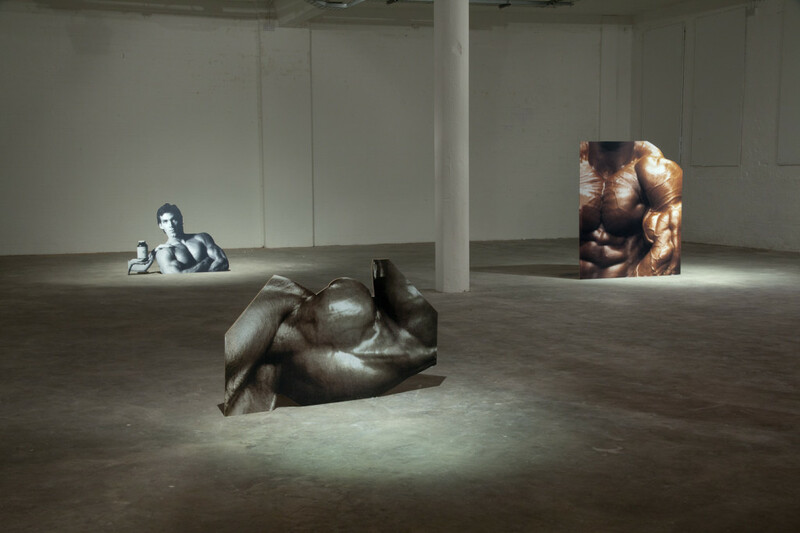 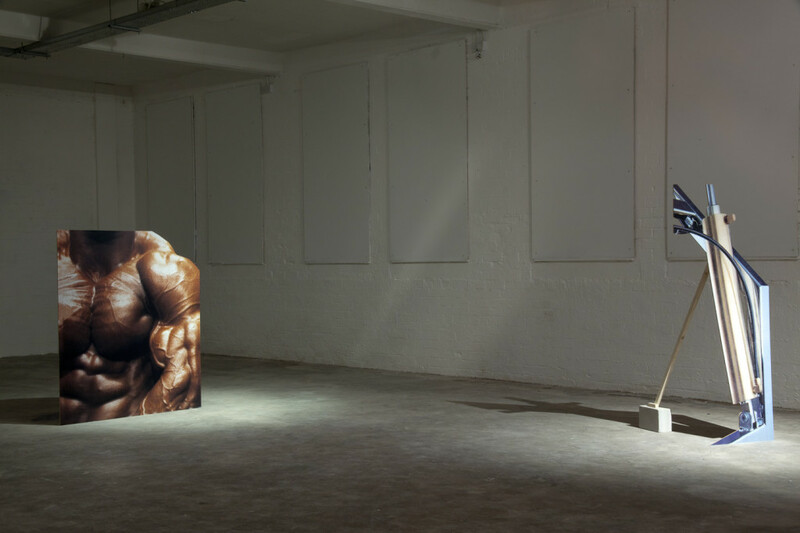 With their subjects in a state of activity, ‘flex’ or ‘pump’, these representations seek to encourage the male viewer to admire the apparent physical strength, but never lust after the sculpted body. 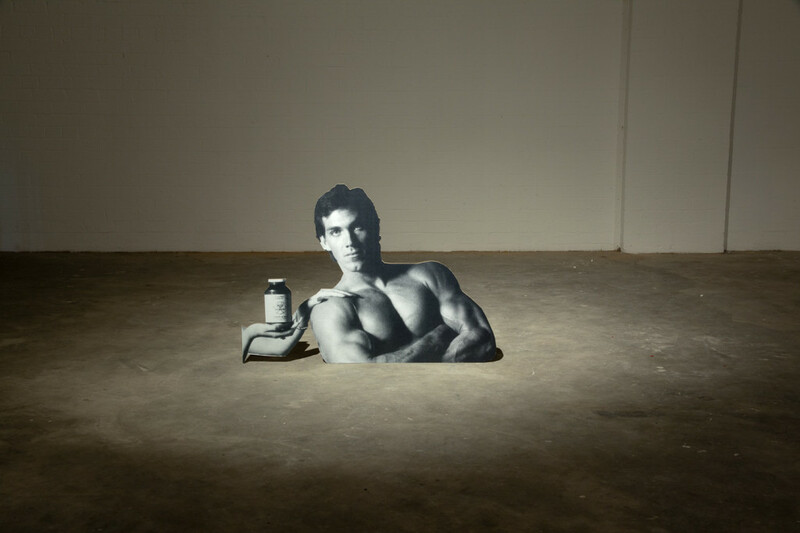 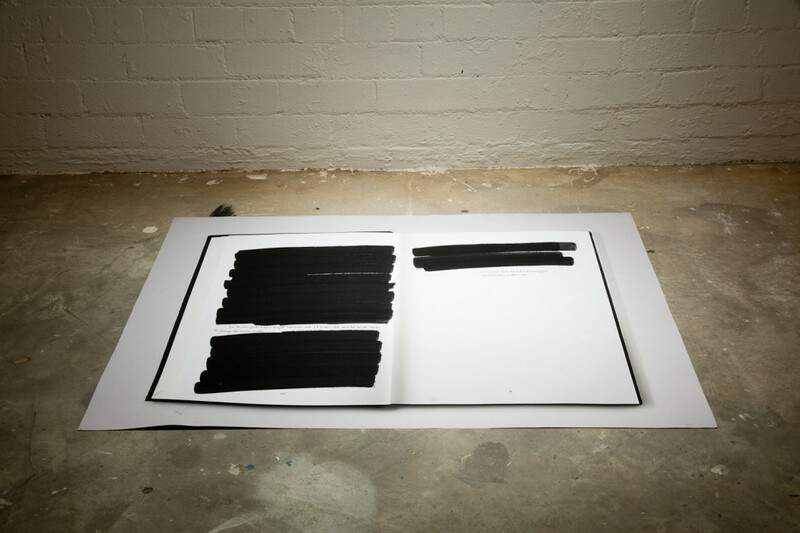 Morrison invites an alternative reading of the photographs found in these advertisements through the removal of their original context, raising questions of the underlying contradiction in the hyper masculine imagery present. 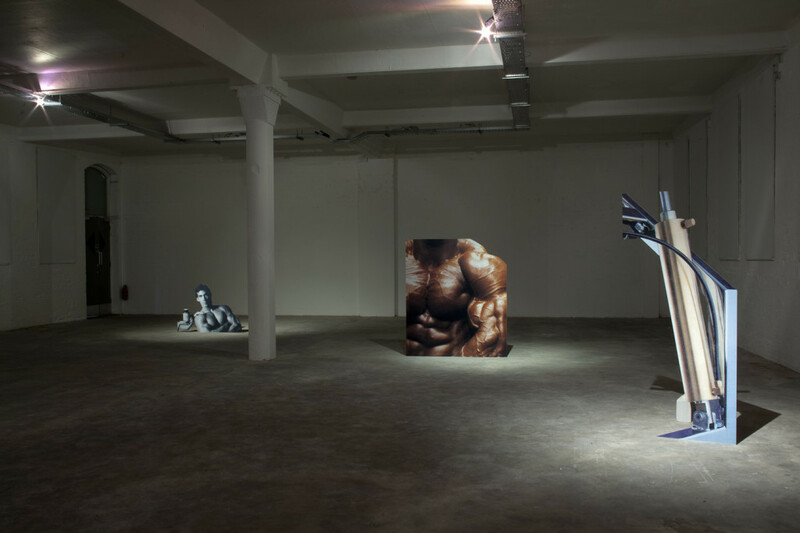 This exhibition is part of the 2013 Belfast Photo Festival.